Sadly, nearly 1 in 4 children across the UK are living in poverty and their families may not be able to afford the luxury of buying any presents. So many children face the prospect of waking up on Christmas morning to no presents under the tree. 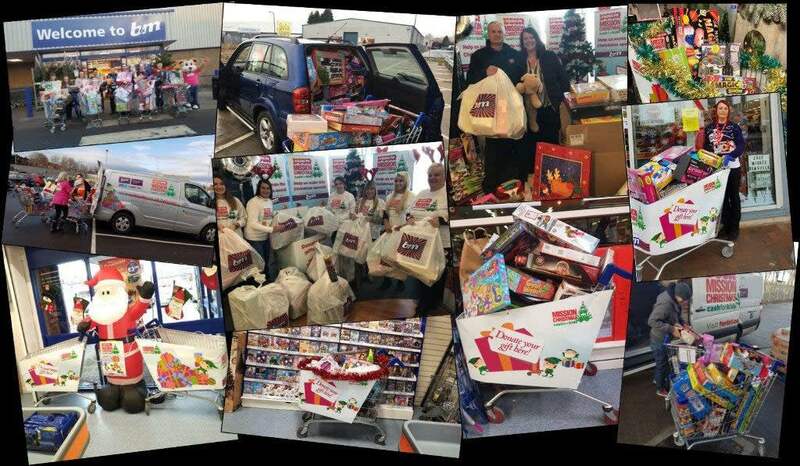 Alongside radio stations across the country B&M colleagues and customers worked hard to ensure that every child woke up to a gift on Christmas morning! Mission Christmas achieved their goal and raised a seriously impressive £15,437,328 worth of toys and cash, and made a difference to 399,419 local children. We are so proud so have supported such an amazing cause once again and we look forward to doing it all again in 2018. The hard work truly does pay off in knowing that the Christmas spirit is being kept alive for so many children. Every child deserves a present from Santa on Christmas morning.